The staccato boom rings out along the single, uninterrupted sand dune that does its improbable best of keeping the drizzly, grey depths of the Japan Sea from devouring the land on this far side of Nippon. 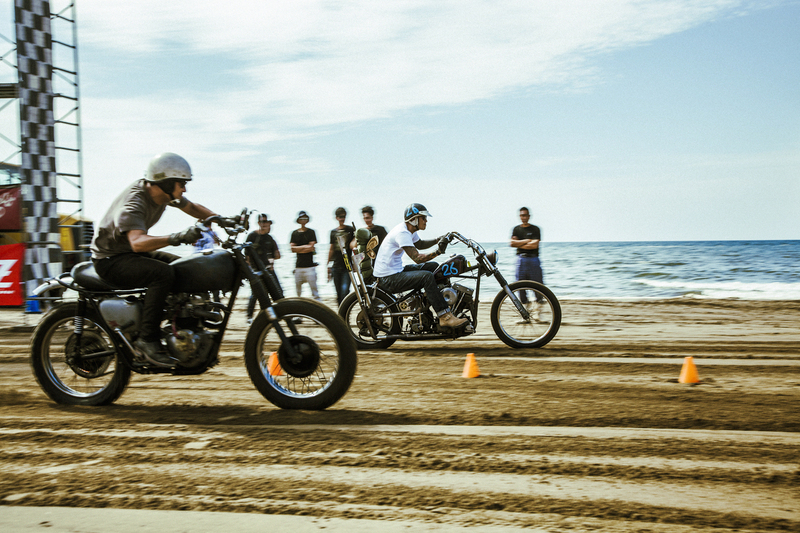 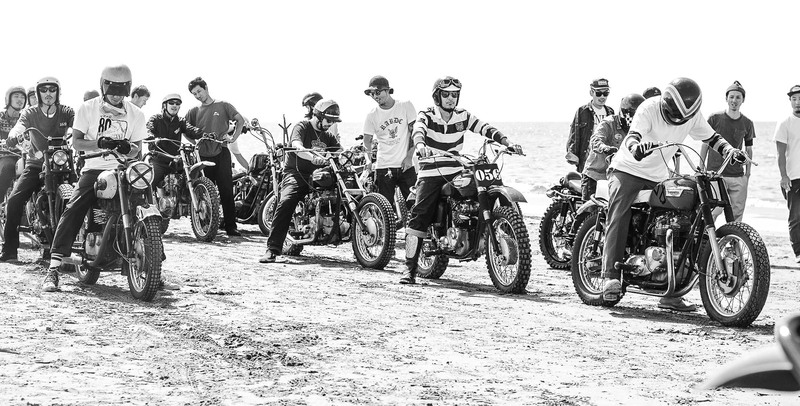 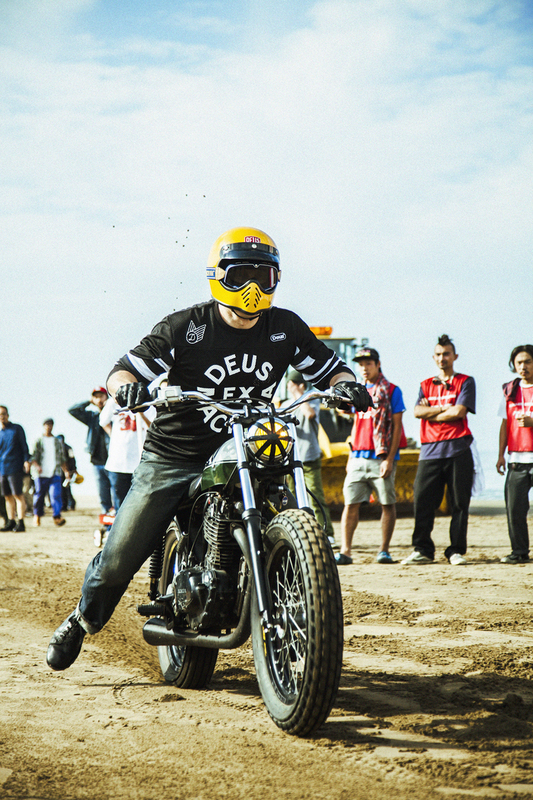 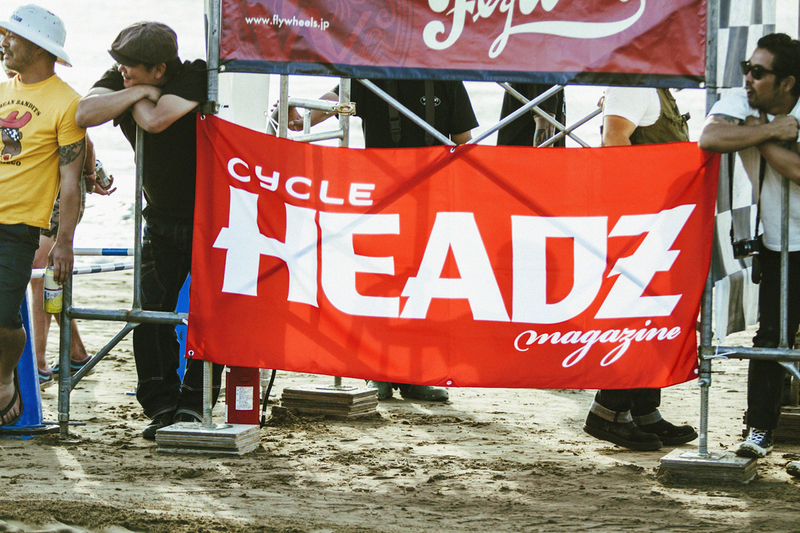 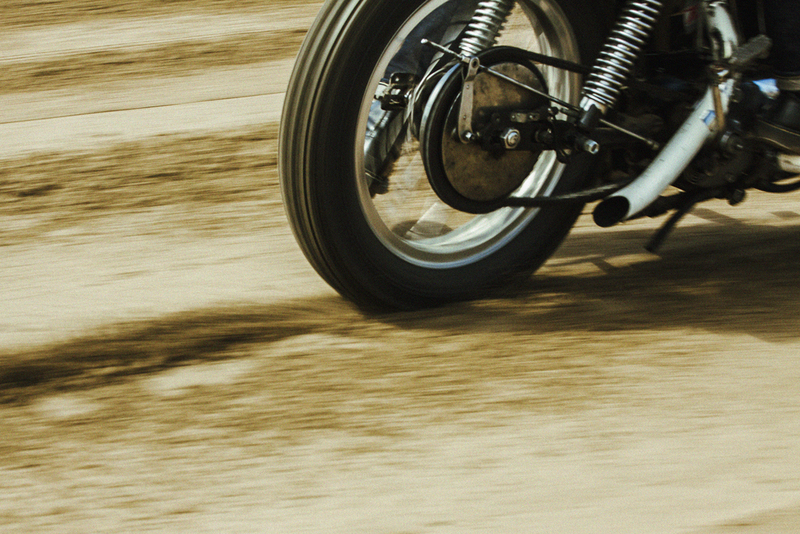 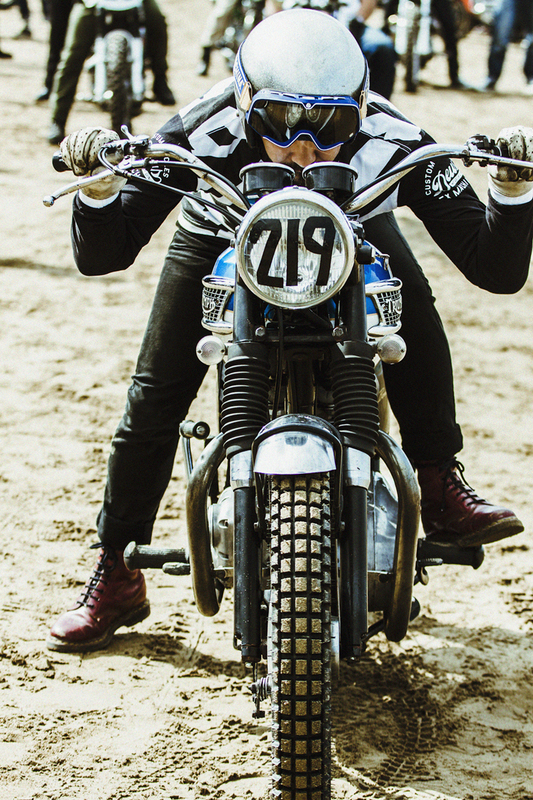 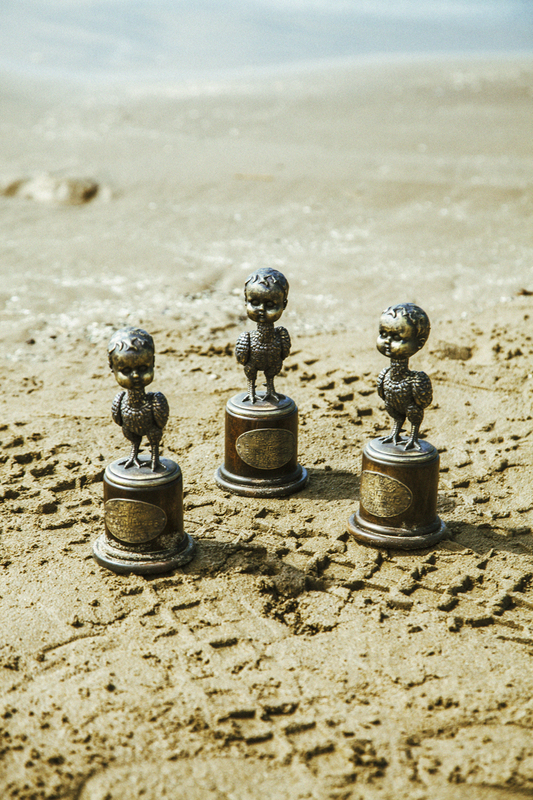 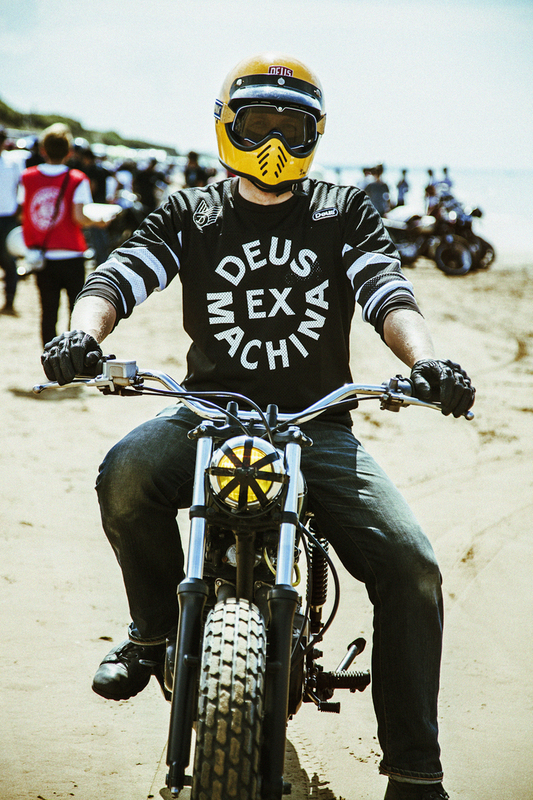 We share the dawn and a ribbon of sand with a growing posse of lust-worthy motos. 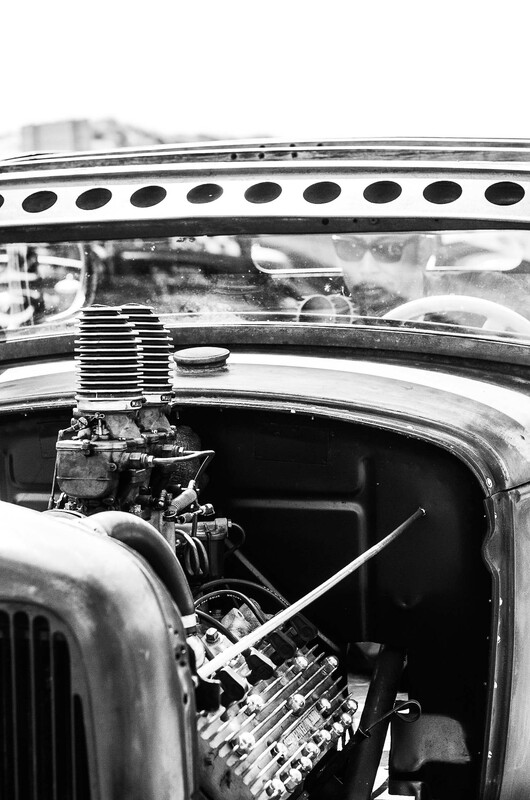 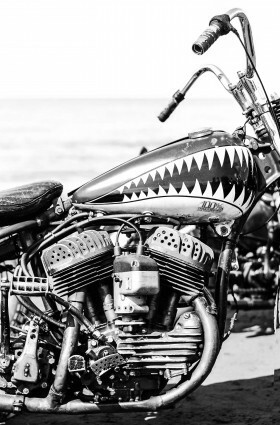 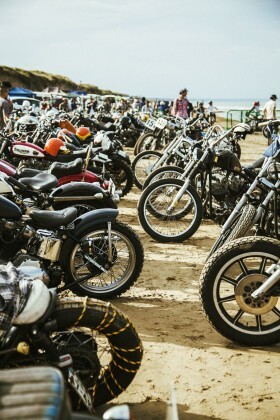 From post-war side valve Harleys to late 70’s Euro and Japanese iron, our cacophonous din a show of bravado to mother nature, each firing stroke beating back the rain and clouds, as owners fettle engines in the intensifying morning glow. 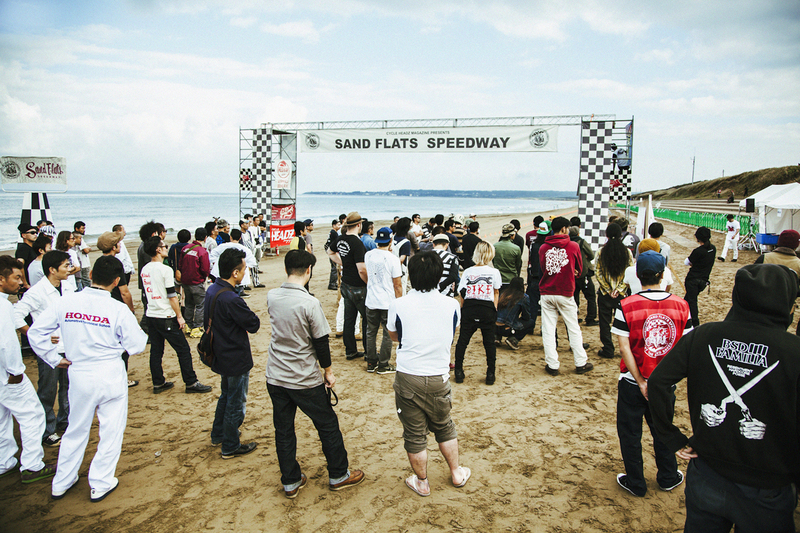 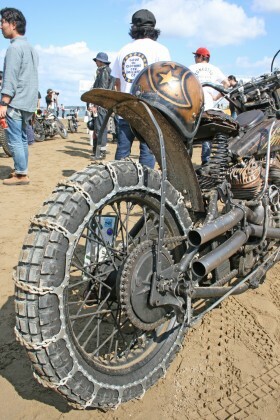 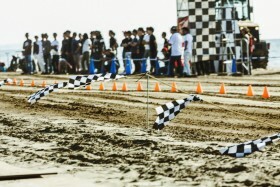 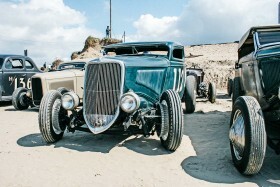 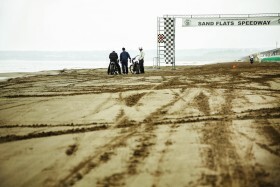 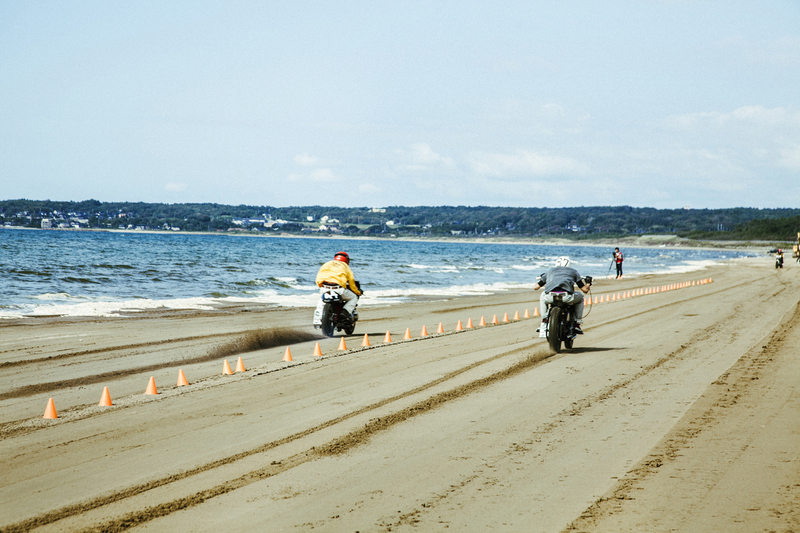 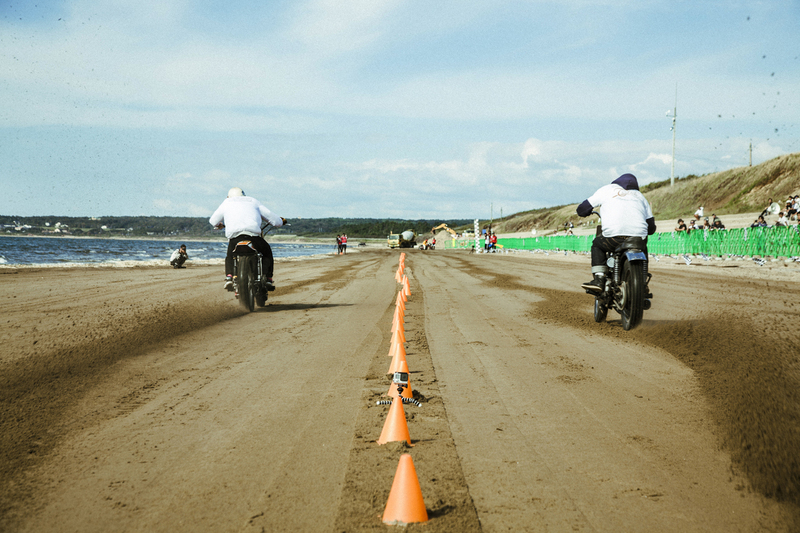 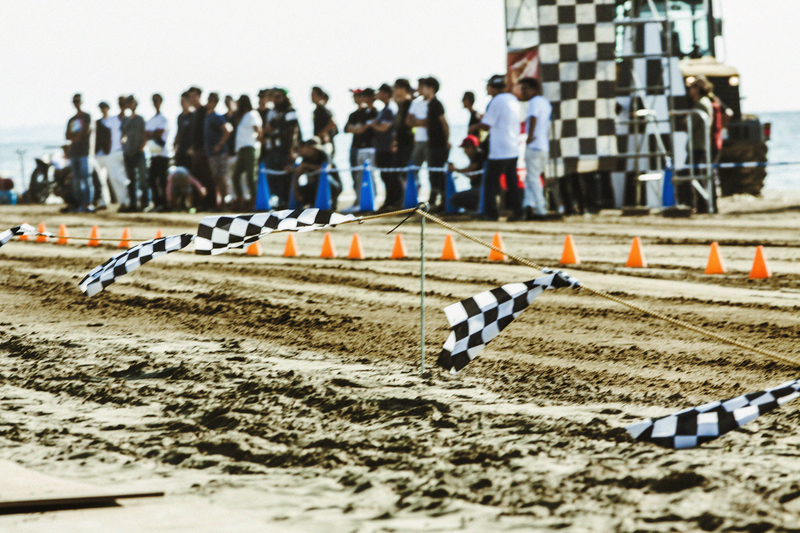 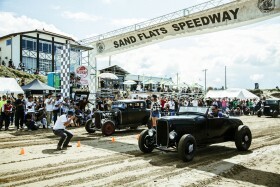 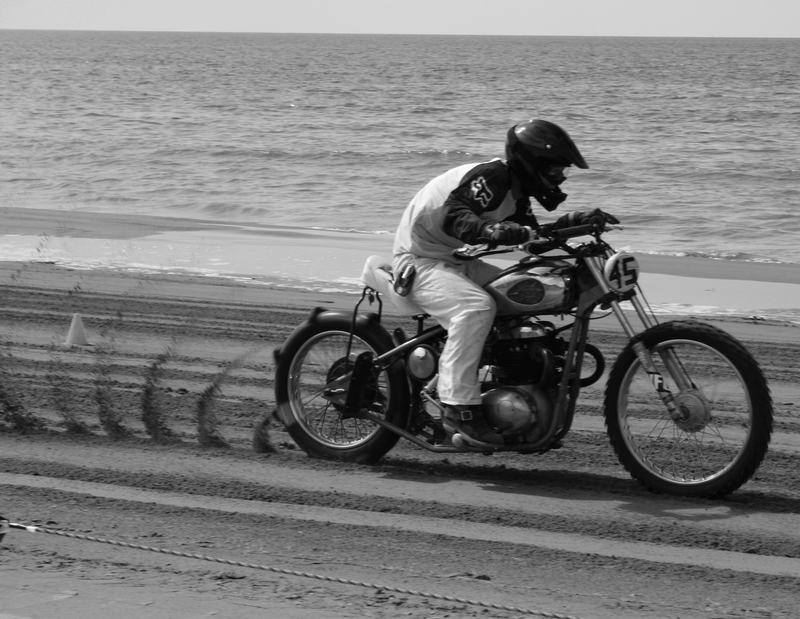 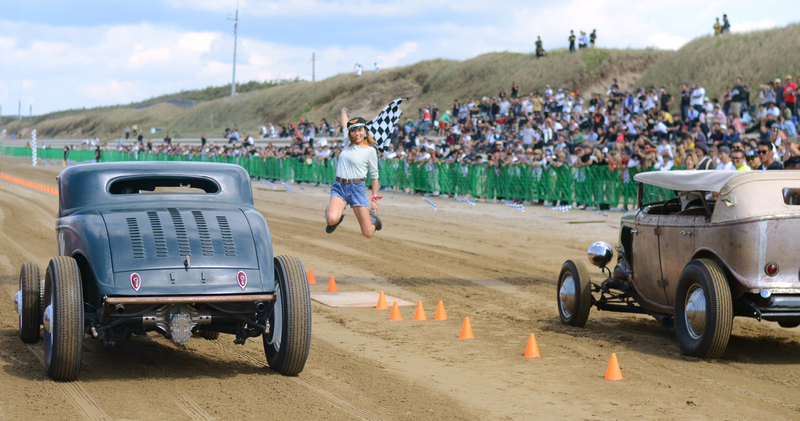 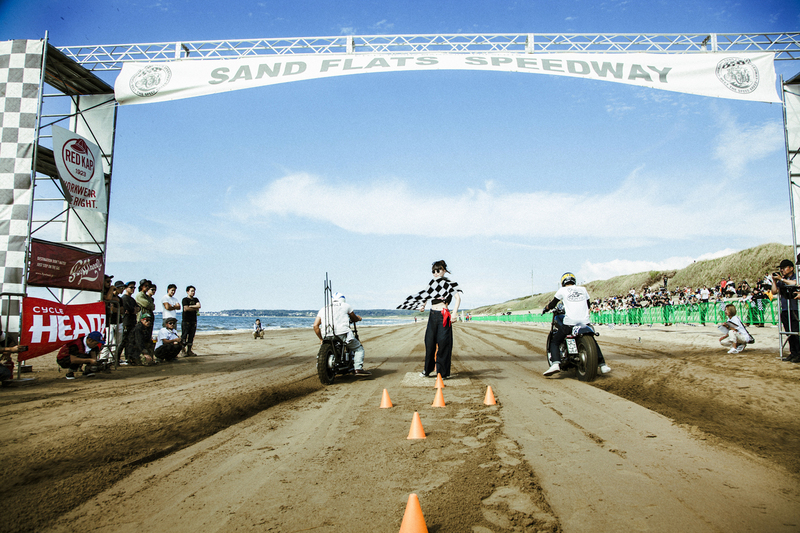 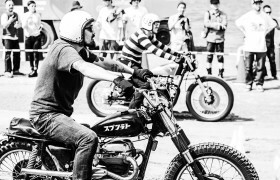 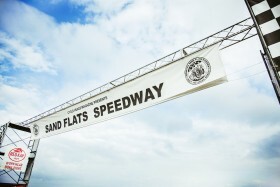 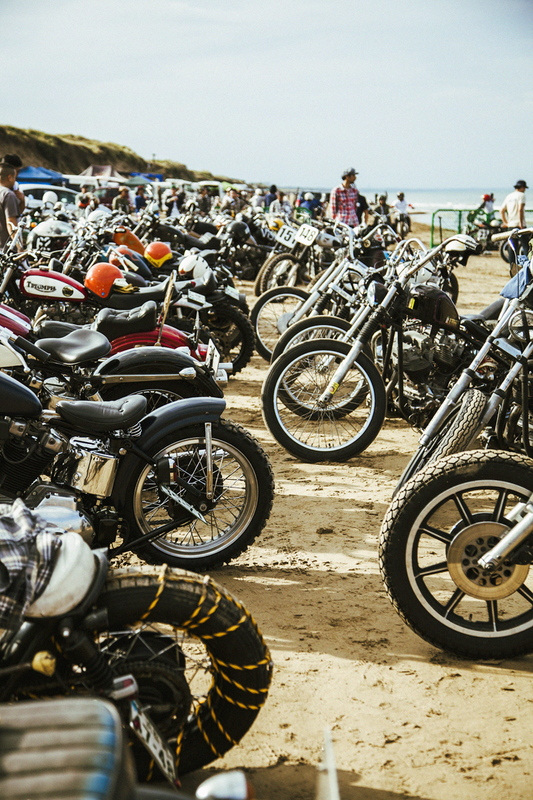 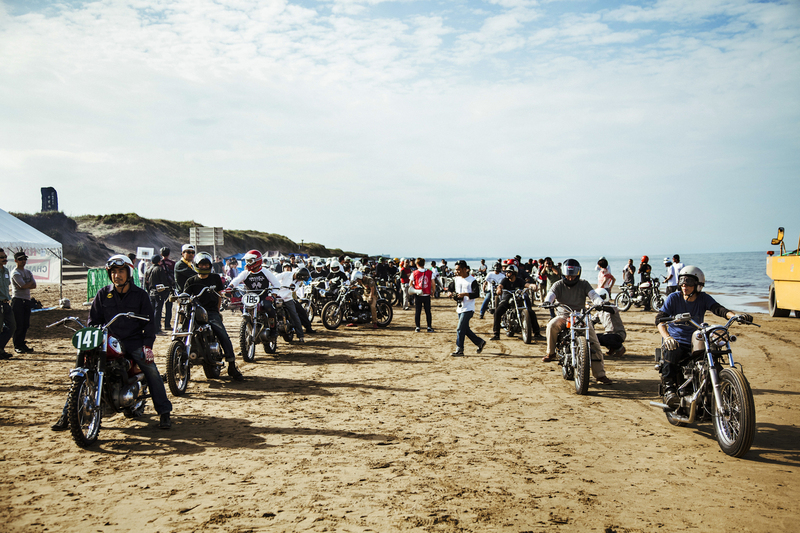 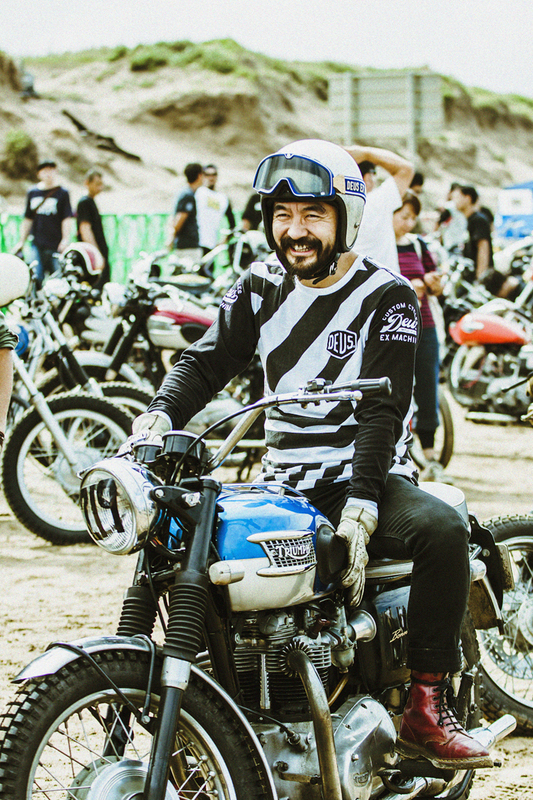 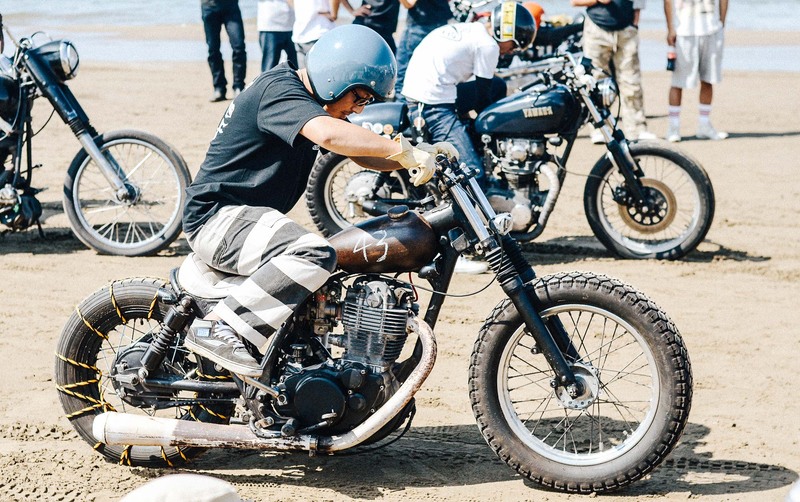 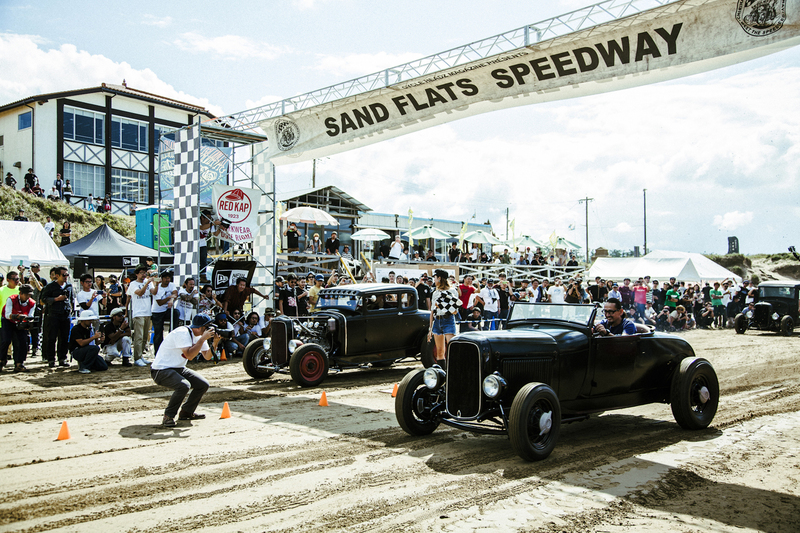 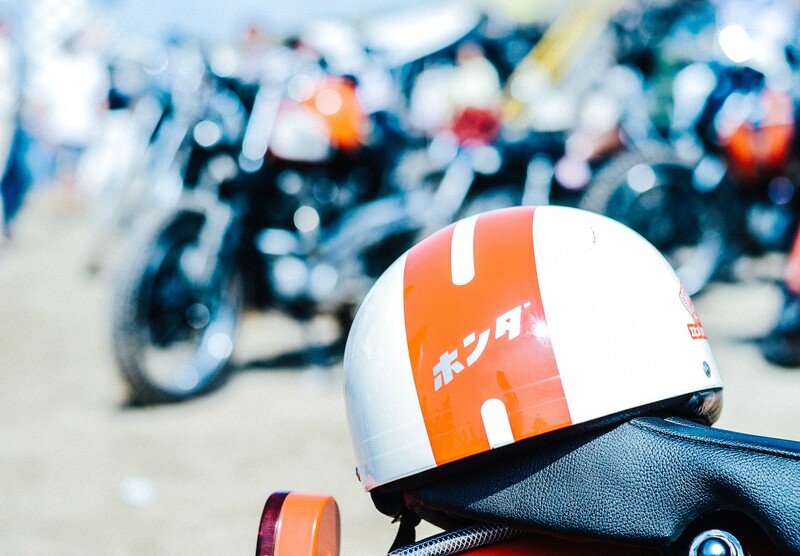 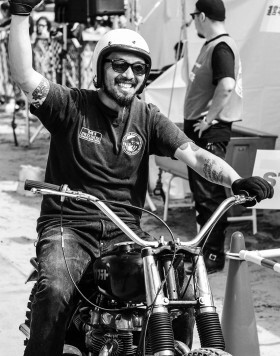 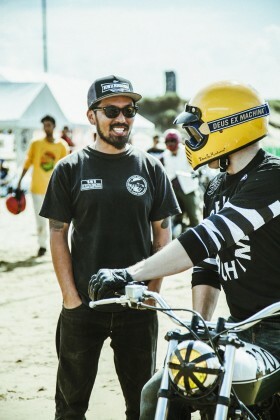 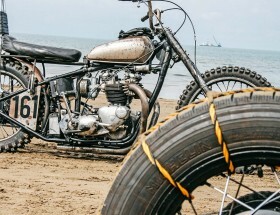 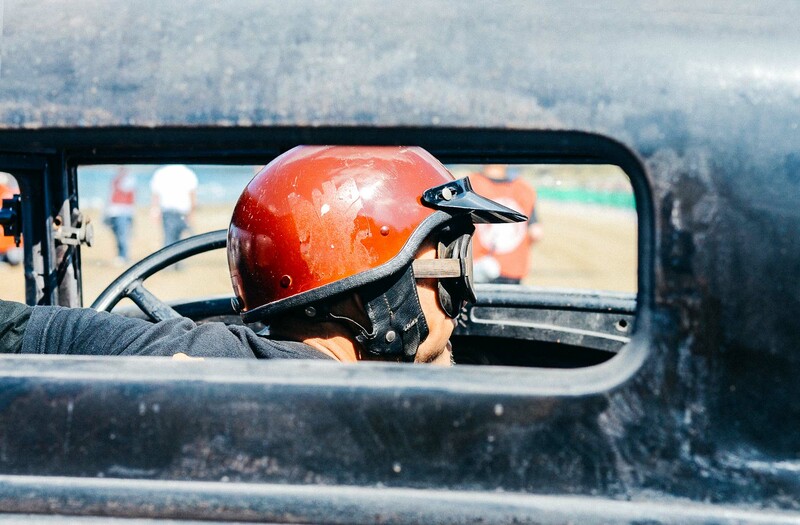 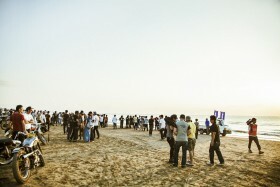 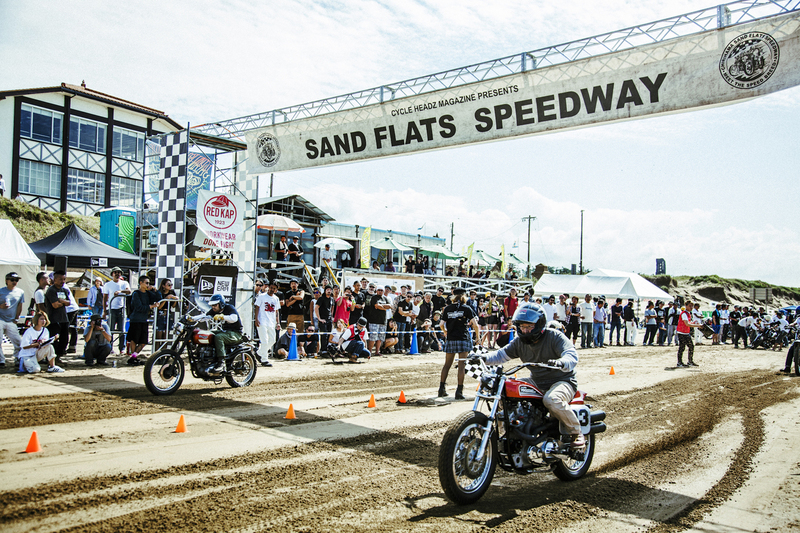 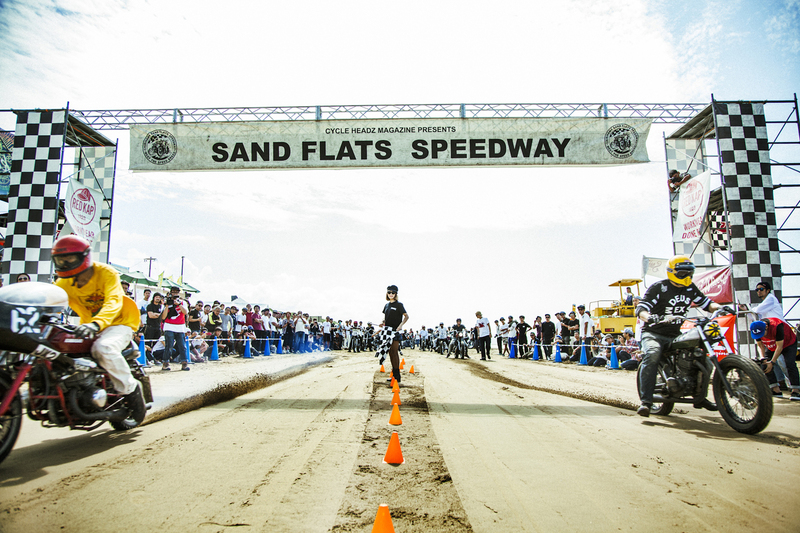 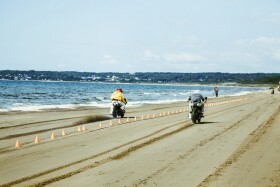 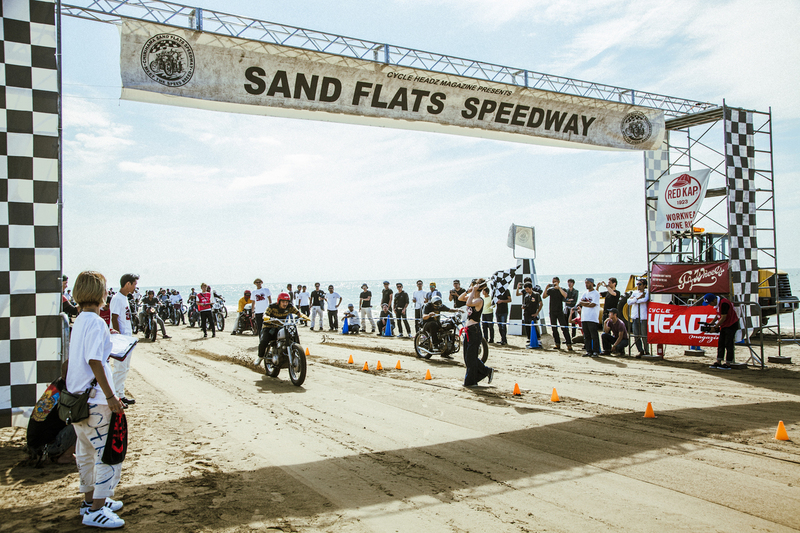 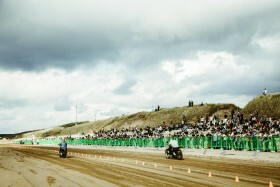 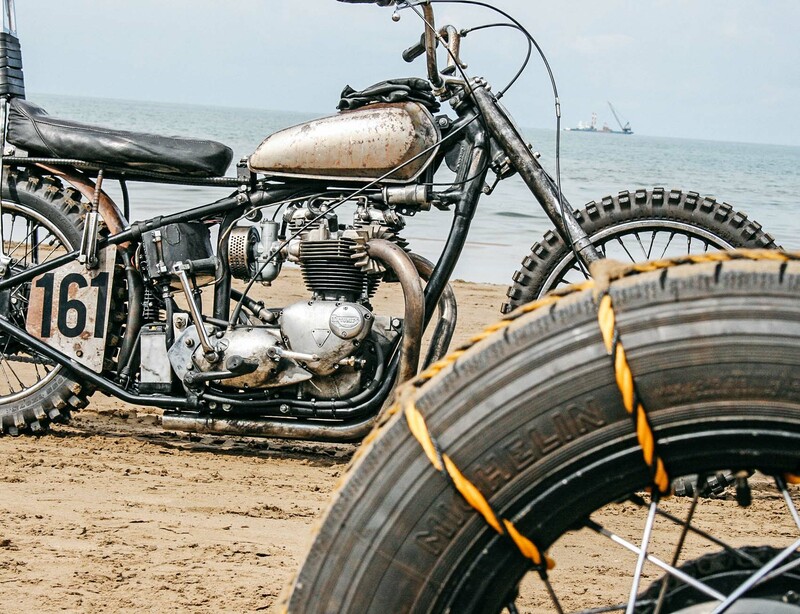 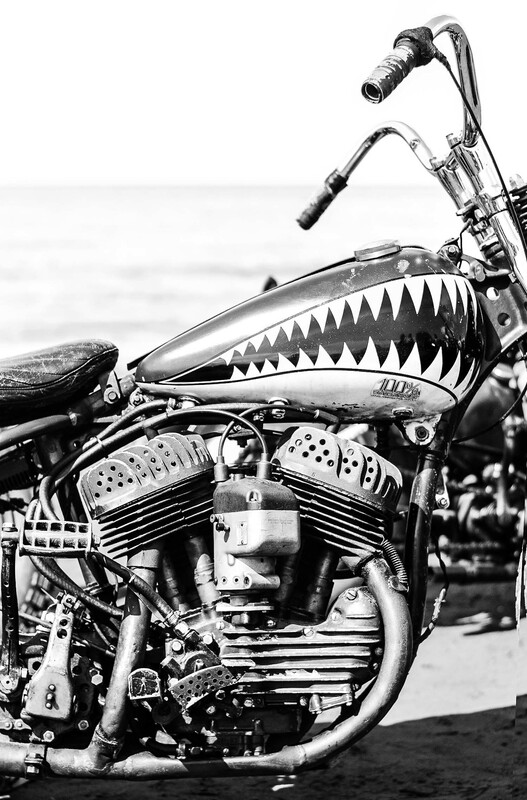 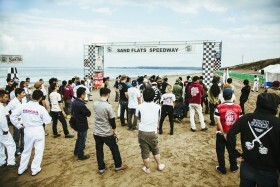 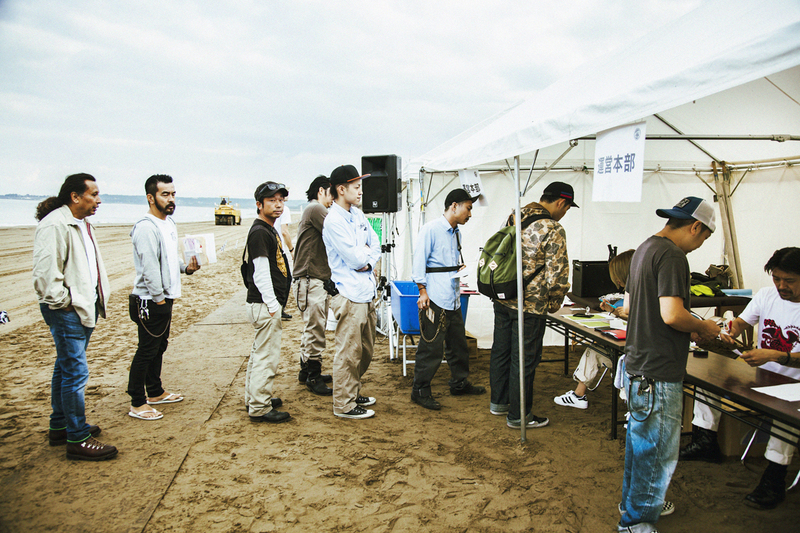 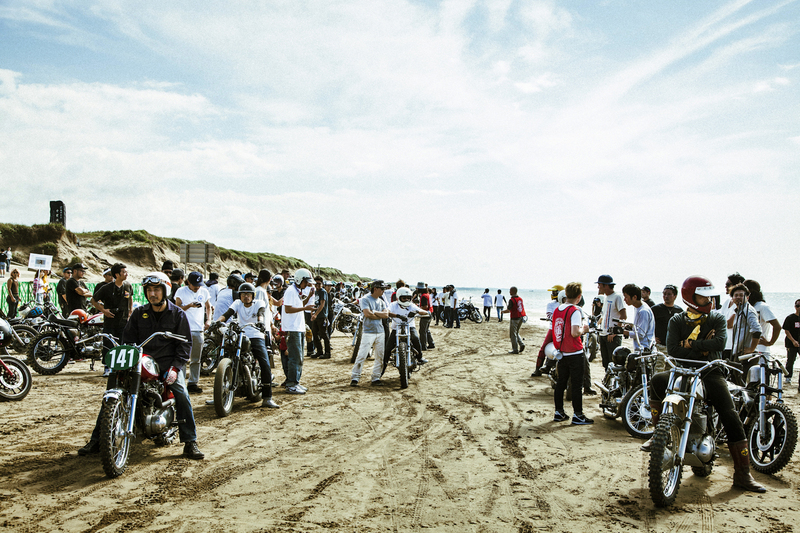 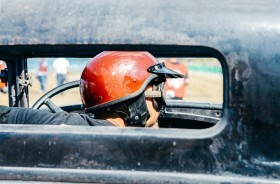 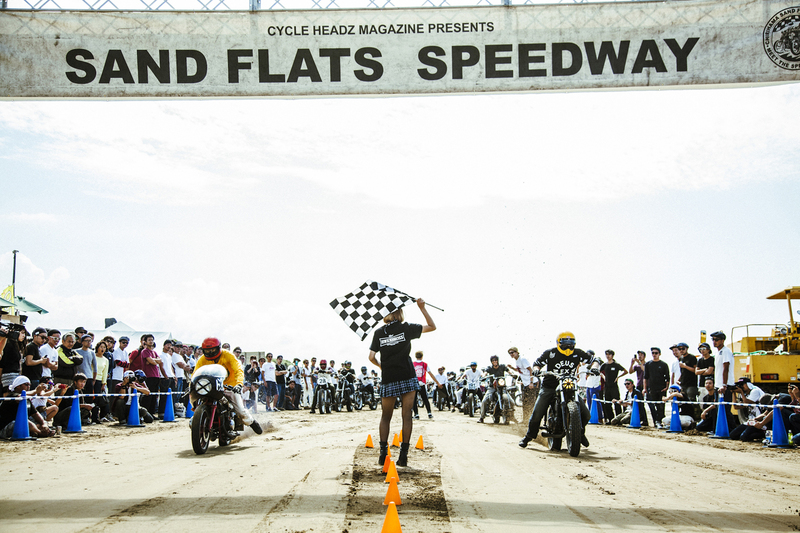 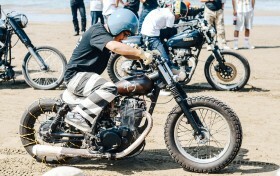 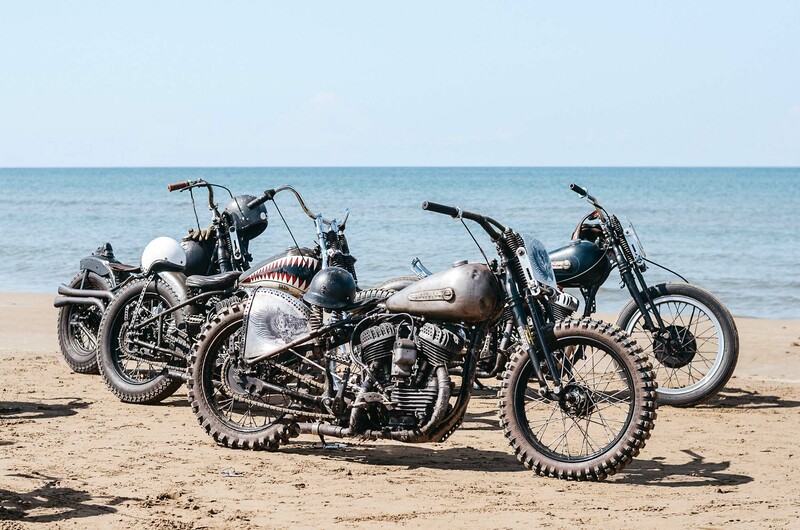 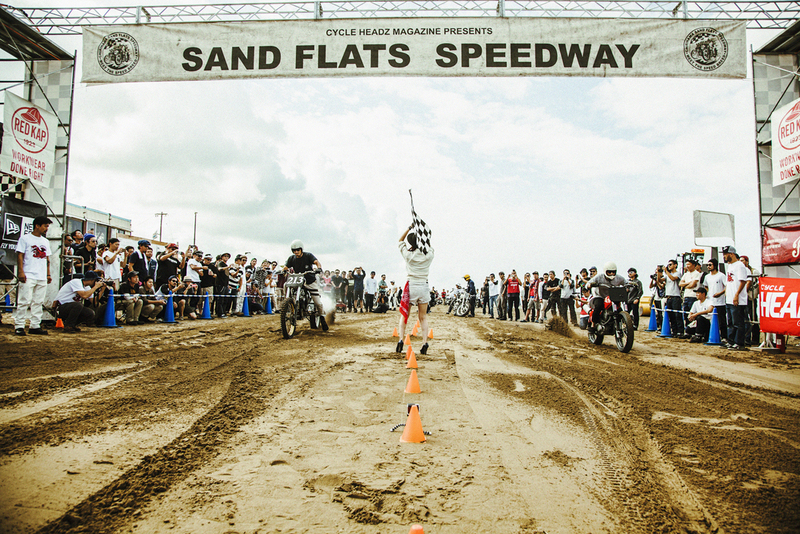 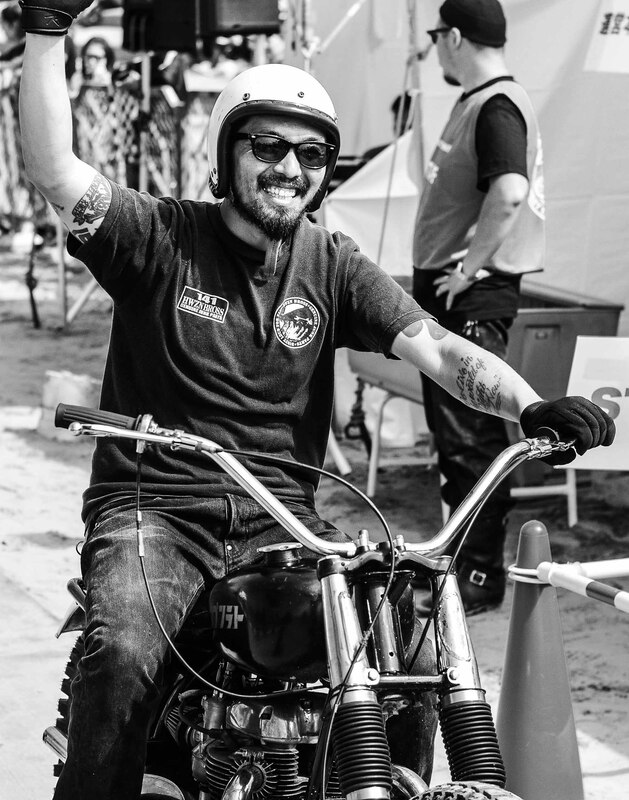 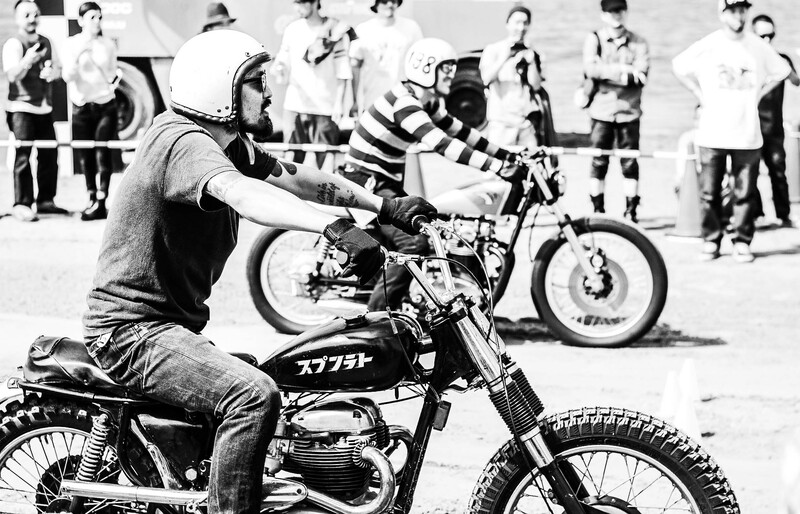 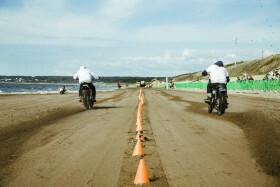 An all night drive in a motorcycle laden van from Tokyo, Chirihama is one of Kanazawa region’s natural wonders and for two days a year the beach plays welcome host to this, the country’s only Sandflats Speedway event. 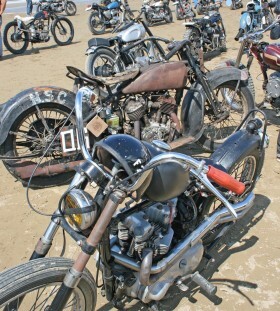 From our place in the paddock we surveyed the contenders -. 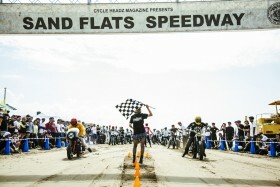 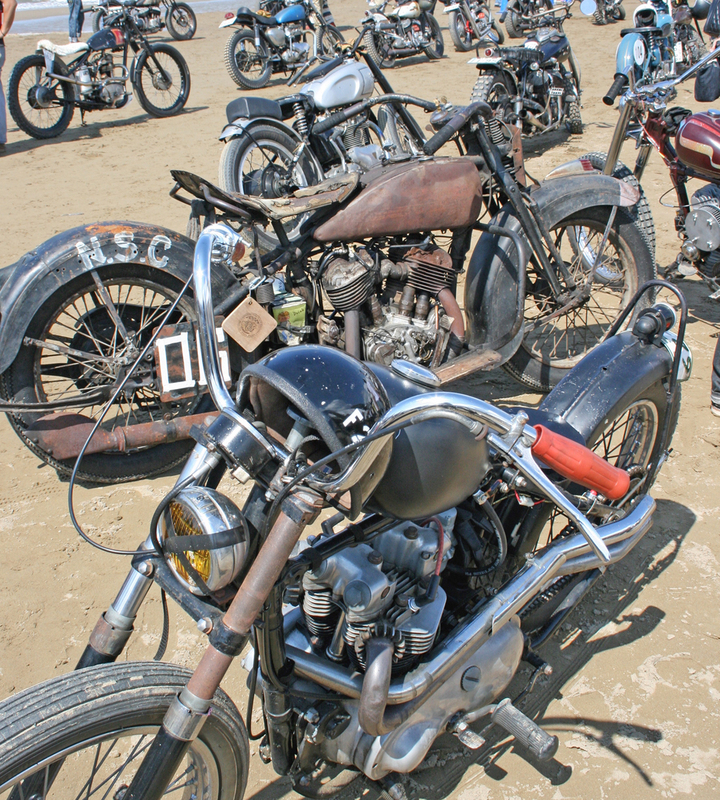 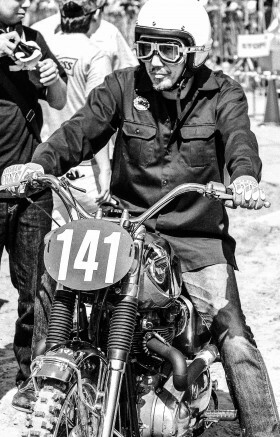 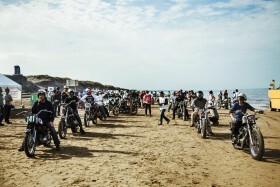 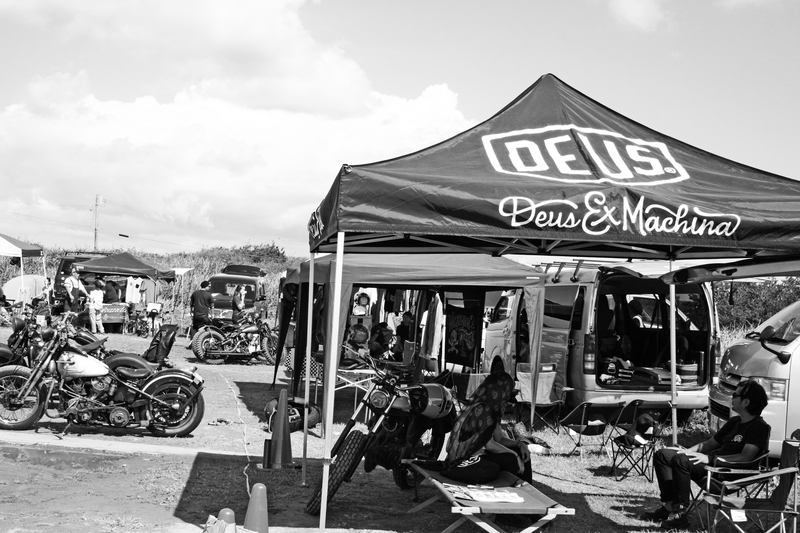 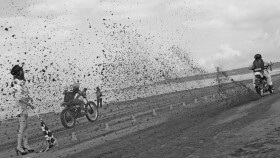 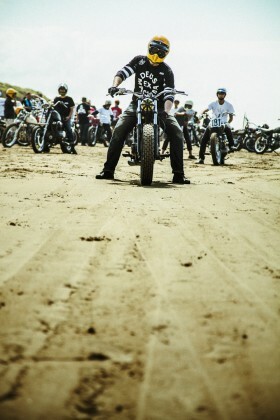 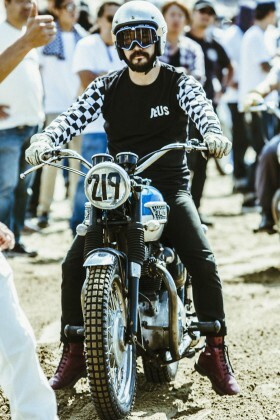 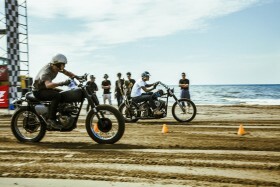 250 plus riders and steeds in all Harley XR750’s, Kawasaki Mach 3 drag bikes, BSA twins bored out to within an inch of their life and a smattering of Meridian twins left us feeling that, even with our deceptively quick Dell Orto equipped 500 single, we may have just brought a knife to a gun fight. 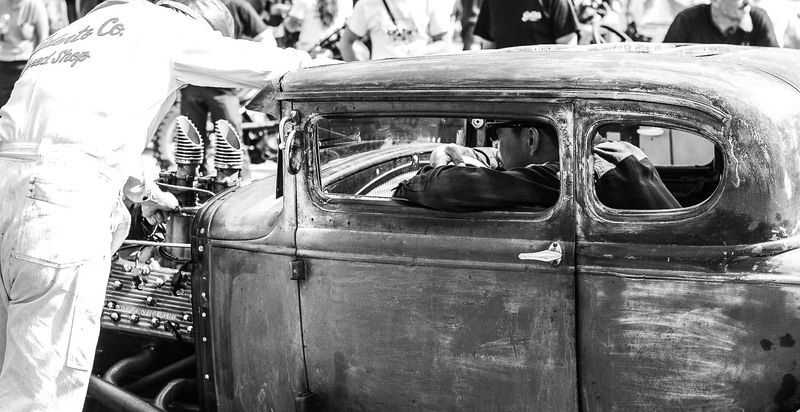 Despite the rarity and value of the machines present, no quarter is given on the strip. 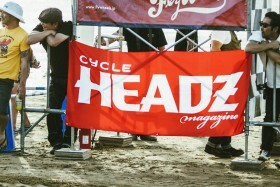 Wins are hard fought and narrowly taken, through white knuckle grip and sand spattered grin. 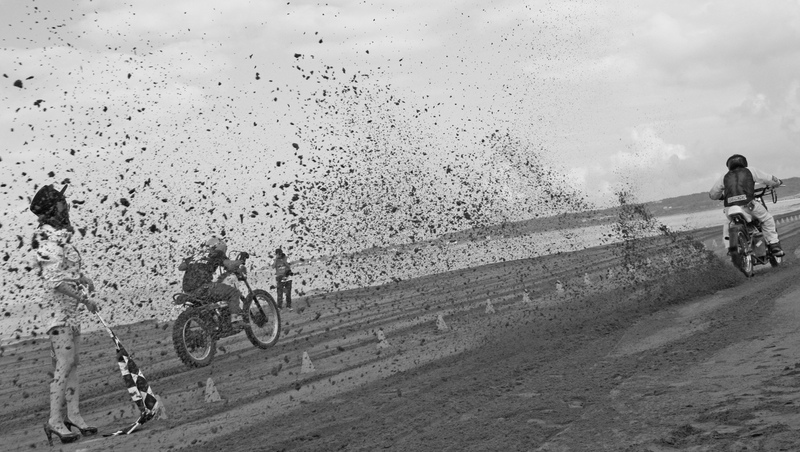 Duels drawn from a hat, attrition rates high and throttle hands faster than lightning strike, the only option – victory – or a seat on the sideline. 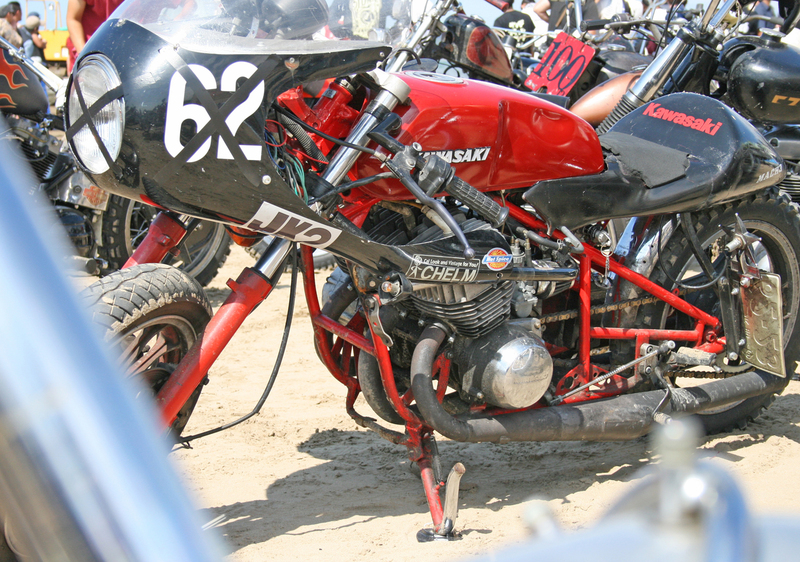 Bested partway through the day (one of Kawasaki’s infamous Widow Maker 2 Stroke Triples bared its teeth while piloted by a previous year’s front runner) we give a nodding bow to the victor, before taking up our place in the now growing posse of unplanned spectators.